Does age affect orthodontic treatment? You can have orthodontic treatment at any age but treatment tends to take longer as we get older. While many patients come to us as teenagers, there is an increasing trend for people in their 30s and 40s (and beyond) to have treatment to ensure their natural teeth last and look great later in life. No, there’s no need for a referral – simply phone ethos for an appointment. Of course, your dentist might be the person who discovers a problem and suggests you visit an orthodontist. If you haven’t seen your dentist for six months, your orthodontist may ask you to have a check up before treatment begins. No, your ethos orthodontist will always try to design a treatment that does not involve removing any teeth. If it is essential to remove a tooth, the orthodontist will refer you to a dentist for the removal. Having braces or a retainer device fitted doesn’t hurt. However, sometimes you may notice some discomfort in the first few days after fitting and adjustment as your teeth start to move to a new position. You can take paracetamol or ibuprofen if you need to. It all depends on your teeth and treatment plan. The orthodontist will give you an estimate but treatment may take a little longer for some people. Your orthodontist will also give you clear instructions for wearing and maintaining your appliance, which will help the treatment work as quickly as possible. Will I need more treatment in the years ahead? Teeth continue to shift throughout life but the change usually slows down after your early 20s. To help prevent your teeth moving, we will fit you with a high-quality titanium alloy retainer that will keep your teeth in place. Your orthodontist and oral health therapist will make sure you get all the information you need to care properly for your new smile. What will happen when my wisdom teeth come through? Wisdom teeth do not contribute to the crowding of lower incisor teeth. The main reason to remove wisdom teeth is if the gums around them are infected or inflamed. Are there any risks to orthodontic treatment? Normally orthodontic treatment is straightforward and leads to a very successful result. As with any sort of medical or dental treatment, in rare cases, things don’t quite go according to plan, or there may be a complication. Ask your orthodontist about the risks and how best to avoid them. At what ages should my child see an orthodontic specialist? The ideal age to review your child’s teeth is between 8-10 years old. Orthodontists can monitor growth and development and intervene when necessary. Do you have teeth that grind or clench? Or jaws that click? Perhaps you’re having difficulty with speech, or problems chewing and biting. These are all conditions that an orthodontist can help with. Many people will need to see an orthodontist at some stage in life. Perhaps because of a problem that’s developed in adulthood. Or one that was not treated properly when they were younger. While many adults want to achieve a straight, natural smile through orthodontics, there are often dental health reasons too. Proper alignment reduces wear and helps keep teeth healthy and gums clean. Many different teeth and bite conditions can be improved by orthodontics. While the easiest time to treat problems is while you are still young but have your adult teeth, you’re never too old to see an orthodontist. When too many teeth come through without enough space on your jaw, some teeth are pushed backwards, forwards or to the side. Crowded teeth look bad, may be tricky to clean, and are prone to decay or damage. If you have a simple case, and suffer from over-crowded teeth, you could be eligible for ethos lite treatment. This occurs when the top front teeth grow forwards as well as down. They are more likely to get damaged, and may also give lower front teeth a chance to grow too far up, causing damage behind the top teeth. If you have a simple case, and suffer from protruded teeth, you could be eligible for ethos lite treatment. An under bite happens when the lower front teeth stick out beyond the top teeth. This condition can be unattractive and has the potential to cause uneven wear on the front teeth. When the top front teeth cover the lower teeth, you get a deep bite. It can cause too much wear on the front teeth and may also damage your gums. If some teeth don’t meet when you close your jaws, you have an open bite. This can make eating rather difficult, causes wear on the teeth that do meet, and may even cause speech difficulties. The top teeth should fit just outside the lower teeth, like the lid on a box. If the upper jaw is too narrow, the lower jaw may swing to one side, causing a cross bite. This can cause a wide variety of problems. If you have a simple case, and suffer from a mild cross-bite, you could be eligible for ethos lite treatment. Where teeth are missing, orthodontic treatment can move the remaining teeth into the correct position. Everybody has tiny gaps between their teeth. Problems occur when there is an excessive amount of space between teeth. Gaps between teeth look bad, may be tricky to clean, and are prone to decay or damage. Speech problems might also occur. If you have a simple case, and would like to close gaps between your teeth, you could be eligible for ethos lite treatment. Regular thumb sucking as a child can move teeth and the supporting bone out of their proper place. Orthodontic treatment can help resolve this issue. Orthodontics is a specialist area of dentistry that diagnoses, prevents and treats problems in the alignment of teeth and jaws. The word ‘orthodontics’ literally means ‘straight teeth’. While orthodontics is primarily about ensuring that teeth line up where they should, it’s also about allowing patients to look and feel their best. At ethos, we know that we are delivering a genuine boost to a patient’s confidence – as well as a great natural smile. While many people associate orthodontics with unsightly teenage braces, the range of contemporary products and procedures that ethos offers makes orthodontics an exciting option at any age. make your teeth easier to clean effectively, preventing other dental problems. create a comfortable bite with reduced wear and tear on tooth enamel and jaws. give natural, lasting improvements without the challenging upkeep of options such as veneers. Whether you’re searching for the perfect smile, or tackling an alignment issue, talking to a registered professional orthodontist is a smart move. At ethos, there is no referral necessary, and our expert practitioners will work with you to tailor a treatment plan just for you. Find out more about the conditions orthodontics can treat. All forms of medical and dental treatment, including orthodontics, carry potential risks and limitations. Fortunately, these complications are infrequent in orthodontics and tend to be of minor consequence. Nevertheless, it’s important to consider all potential risks and limitations when you’re considering a decision to undergo orthodontic treatment. Only seek treatment from a registered, and experienced, orthodontic professional. To find out more about this, visit the Australian Society of Orthodontics (ASO). Important information about the limitations and possible complications of orthodontic treatment. We, at Ethos orthodontics work to achieve the best possible results for each of our patients, but we also like to make it clear from the outset that there are limitations on what can be done. Our predictions about what can be achieved will be realistic, based on experience and professional knowledge. As with any form of medical or dental treatment, there are risks. In orthodontics, complications are rare and usually minor. Nevertheless, we believe it is important you be made aware of them before making your decision to undergo orthodontic treatment. Root Shortening: Treatment can shorten the roots on the teeth. It is nearly impossible to predict a patients susceptibility. However this shortening rarely has significant long term consequences for teeth vitality. Jaw Joints: Occasionally patients may suffer pain or dysfunction in the temporomandibular joints (TMJ’s). The main contributing factor in TMJ disorders is stress. Some people are prone to TMJ and so can suffer the condition whether or not they have orthodontic treatment. Discomfort from TMJ’s may last from a few days to several weeks. If the condition persists, your Orthodontist may recommend consulting a specialist in joint disorders. Tooth Vitality: A tooth with decay or large fillings or one traumatised by a previous accident may have nerve damage. Orthodontic movement of the teeth may aggravate nerve damage in the affected tooth. In rare instances this may lead to the loss of the tooth’s vitality and discolouration of the tooth. Atypical Growth: If, during treatment, the rate or direction of growth in the jaws is atypical (insufficient, excessive or asymmetrical), this disproportionate growth may limit our ability to achieve the desired result. Treatment may be prolonged to achieve an acceptable result. Growth changes that occur after orthodontic treatment may alter the quality of treatment results. Further orthodontic treatment may be required. In some cases of atypical growth, the bite may change so much that oral surgery is required to achieve the best possible result. Honestly presenting you with known risks and limitations of orthodontic treatment is central to our policy of being realistic about what you can expect from treatment. Your teeth serve both functional and aesthetic purposes: biting, chewing and smiling. Having straight teeth is as much about personal confidence as it is about long term dental health and oral comfort. So we appreciate that there is an emotional factor in your decision. Please take the time to discuss all of your expectations and concerns with us before commencing treatment. We will need your full cooperation throughout treatment so we want you to be satisfied from the outset that you are well informed and your decision to proceed is correct. 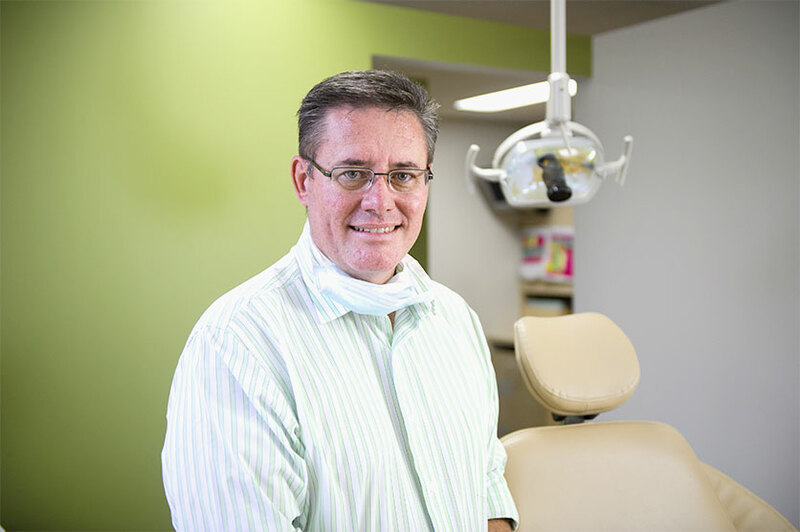 Always choose an orthodontist who belongs to the Australian Society of Orthodontists, ethos orthodontists are all members. You should also try to see an orthodontist with a passion for new and emerging technologies so you know you’re being offered the latest and best treatments. At ethos, we have a strong focus on ongoing training, attending conferences to update our knowledge and practice. Can I eat anything I like while I’m wearing braces? With braces, you can eat most things but should avoid hard sticky sweets like toffees. You may also need to cut up some foods, like apples, raw carrots and crusty rolls, and avoid gnawing meat on the bone or corn on the cob. Your orthodontist and oral health therapist will give you full instructions when you have your braces fitted. What do I do if my braces break? Braces may occasionally break or become loose. Please contact us to make an appointment as soon as you can to have them fixed and to keep your treatment on track. How do braces get fitted to your teeth? Firstly, our oral health therapists clean the tooth surface, where the braces are to be placed. Then the orthodontist will prep the tooth surface and place each individual brace onto each tooth. Each brace is set with a light curing technique, followed by placement of the soft initial archwire. The small rubber modules (clear/coloured) are then placed over the wire and brace. View this video to see for yourself. How do braces get taken off my teeth? Our qualified oral health therapists use a special brace-removing instrument that applies a small amount of pressure when placed over the brace, allowing it to be removed. Any adhesive residue is then removed and your teeth are cleaned, revealing your beautiful new smile. Can I have my braces taken off for a special event? Yes, for a very special event we can remove some or all of your braces. A small fee may be charged. Discuss with your orthodontist for further details. Is there anything I won’t be able to do with braces on? Braces shouldn’t hold you back in life. These days they’re relatively low maintenance which means you can still work, eat, drink, kiss and sing! You can eat most foods too, as long as you avoid hard or sticky lollies, corn on the cob, crunchy or hard foods and sugary drinks. Playing certain instruments (like a trumpet or flute) might be a little difficult at first but can be improved with practice. Pretty much the same way you do now. Flossing and using interdental brushes will also help reach the parts that toothbrushes can’t. Our oral health therapist will explain how to care for your braces at your fitting appointment. Can I take my invisalign aligner out? Yes. Invisalign is designed to be removed when you eat and when you clean your teeth. You should keep it in at other times, including at night. How do I clean my invisalign aligner? At your insertion appointment, you will be shown all the cleaning procedures required to keep your Invisalign looking great! Is invisalign right for everyone? No, not everyone. If you need more complex treatment, braces may be more effective. This doesn’t mean you have to endure the big clunky metal braces of the past. These days, there are other discreet treatment options to suit your lifestyle, such as Incognito and Clarity. Talk to your orthodontist about the best options. Can incognito help all orthodontic conditions? Yes. Incognito can be used to correct all orthodontic conditions in both adults and teens. To find out what makes Incognito such a successful treatment option, visit our Incognito page. For a cost comparison with other options, take a look at some of our different treatment types. Can I eat anything I like with incognito fitted? You can eat most things with Incognito, but you should avoid hard sticky sweets like toffees. You will need to cut up some foods, like apples, raw carrots and crusty rolls, and try to avoid gnawing meat on the bone or corn on the cob. Your ethos orthodontist will be happy to give you full instructions. Why is treatment so fast? Ethos lite is fast because it only treats relatively minor cases. It’s designed for people who already have a good bite and don’t require any major structural changes. In fact, ethos lite only focuses on your front six teeth – your ‘smile teeth’. These aesthetic adjustments don’t take as long to take effect as changes to the bite, and dramatic results can usually be seen in the first 3-6 months. Of course, another reason why the treatment is so successful, so soon, is because we know exactly what we are doing – and have the streamlined systems and established practice network to keep things running smoothly. To find out whether ethos lite is right for you, it’s important to get an accurate diagnosis. At ethos, that’s something we excel at, because we don’t want anyone in braces longer than they should be! Is quick orthodontic treatment as effective as traditional cases? Absolutely! If you qualify as an ethos lite candidate, you can still expect amazing, long-lasting results. You just won’t have to wait as long because you don’t need the full treatment required in complex cases. And because ethos are experts in retention, you will also have the best post-treatment care, keeping your teeth in place and your ongoing treatment on track. If it’s simple, can my dentist perform my treatment? We would always recommend seeing a specialist. While some dentists may have basic training in some of the treatment products, it’s not their specific area of expertise. Ethos orthodontists have studied for a minimum of three extra years to qualify as orthodontists, and do this kind of work every day. We will listen carefully to your needs and take a genuine interest in the outcome. We also guarantee accurate diagnosis and an all-inclusive quote at the start of the treatment – so there are no surprises with costs. I don’t really need orthodontics, is it worth it? Only you can answer this question. Ethos lite is an aesthetic treatment option that patients choose to have but don’t need to have. It can be a great idea for anyone who wants to straighten crooked teeth, close gaps, enhance a smile or boost confidence. It’s also a great way to improve speech difficulties, and avoid injuries caused by protruding teeth. Of course, having perfectly aligned teeth will help you keep your teeth clean too, which is great for oral health. Talk to your ethos orthodontist to discuss your options. Can I set up a payment plan for my ethos lite treatment? Yes. Ethos offer a variety of payment methods, including our interest free monthly payment plans that help to spread out the costs of your treatment. You can find out more about your options here. You are never too old to take control of your life and make the changes you want. ethos lite is a suitable treatment for people of all ages, from teens and children with less complex needs to adults who are seeking small, but significant changes. Many adults get braces these days and there are some very discreet treatment options available, such as Incognito and Invisalign. We’ve recently had an 80-year-old patient undergo ethos lite treatment to improve her teeth for her granddaughter’s wedding!